What Do You Love? — M.L "Cissy" Petty, Ph.D.
February is the love month. It starts with the anticipation of Valentine’s Day. Ever since we were all in grade school we couldn’t wait to carry home a shoebox full of “be mine” valentines. We naturally think of “who” we love during this time, not so much about “what” we love. 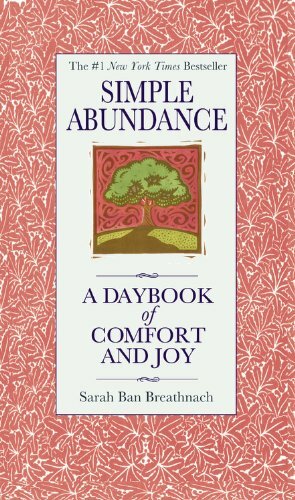 In January, I started re-reading the book “Simple Abundance” by Sarah Ban Breathnach. I first read it in 1997 during a particularly painful time in my life. It is hard to believe it’s been 11 years since my first reading. I had my heart broken in 1997. It took almost two years for me to recover my bearings, to be able to sing my made-up songs in the mornings and to believe that I would indeed love again. I know this part of my story is not unique. Many of us fall in and out of love over our lifetime. What helped me regain my positive perspective was Breathnach’s approach to gratitude, and too, knowing it’s not always about “whom” you love, but knowing “what” you love. I read a saying the other day and put it on my bulletin board: “The key to loving how you live is knowing what it is you truly love.” Part of knowing what you love is listening to that still, small voice within. It happens all the time…you see a painting and are moved to draw closer…you read a poem and feel tears well, heart touched…you are drawn to certain colors that remind you of special times...Knowing what you love is about trusting your own instincts, your gut, your heart, the spirit that leads you. Sarah says “you’ll know what you love the moment you see it. It’s that familiar “wow” reaction. Trust the impulse, capture the encounter, and record the clues.” This she says leads you on the journey of knowing what it is you truly love.